The internet has provided B2B businesses with many new ways to promote themselves, and with some fresh and dynamic takes on the old tried and tested methods. One of these is web video production. Though a video production may seem at first glance to be not dissimilar from traditional interruption marketing, the reality is that it offers a much more versatile way to reach buyers. 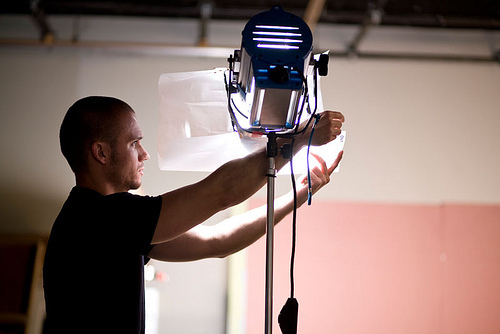 Here are five ways in which a good online video production can enhance your marketing efforts. An effective marketing strategy will employ multiple channels to communicate your message and your brand to buyers. Online video should not only have a home on your website, it should be on YouTube and other video sharing platforms, to increase the chances of someone new discovering it and extend your reach. No so many people want to read through reams and reams of text on a screen, whether it’s on a desktop, laptop or a smartphone, and this is especially true for busy B2B buyers. A good video production enables you to communicate what you want to say and how your product or service works succinctly and in a highly visual manner. Why take up your clients’ time, and yours, explaining how something works when you can simply show them in a short video? A secondary benefit of using web video is that it reflects positively on your company. Though you should clearly put substance before style, a professionally produced online video can work wonders for your brand image. Just the fact that you use video can mark you out as more forward thinking and dynamic than your competitors who don’t. Of course, it’s also worth bearing in mind that this can backfire if your video looks amateurish, or looks good without imparting any real value. Creating a series of short and snappy videos to accompany your other online marketing content (blogs, ebooks, webinars etc) is a great way to stimulate the sharing of your content amongst social media connections. Many B2B buyers are members of social networks such as LinkedIn, Twitter and Facebook, and will share interesting and relevant video content with their peers and colleagues. Informative and engaging videos that deal with common problems related to your industry can quite literally go a long way. Skilful copy writing and a striking design can do a lot for creating a certain tone and atmosphere for your website. But nothing can convey the personality behind your business as well as a human voice and a friendly smile, and that’s what web video marketing can add to your site. Jeremy spent 20 years as a B2B publisher, creating publications targeting the private equity and fast growth business sectors before launching Equinet Media in 2009.